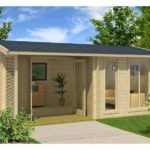 The Mooncliff Cabin Kit is a very spacious and luxurious one room cabin with an inside floor area of 164 square feet. 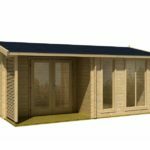 The wall thickness of 1-3/4’ (44mm) consists of an exceptional timber quality, providing for an intense sense of coziness and comfort. 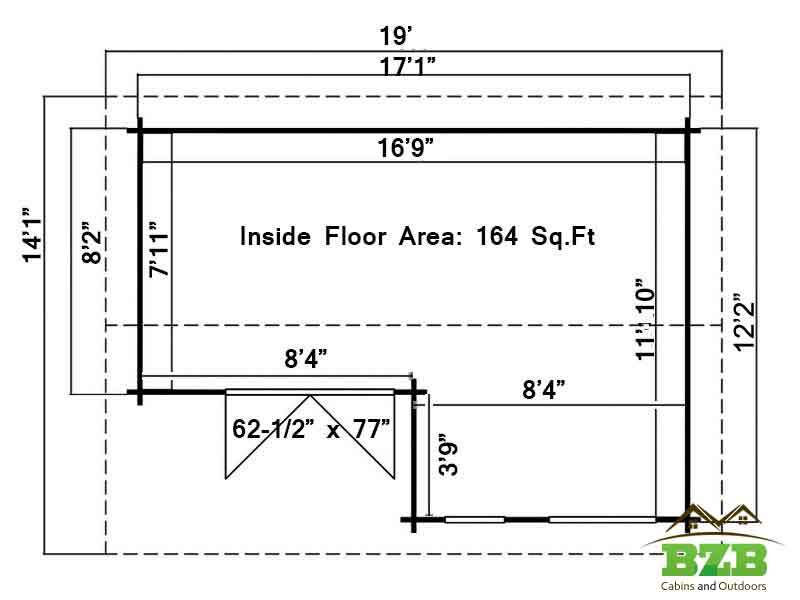 The inside dimensions of 16’9” x 11.10” provide the Mooncliff Cabin Kit with that large open-air feel. 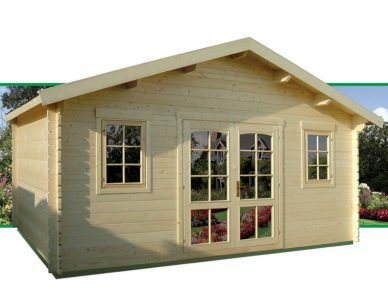 Double Pane Real Glass, 22" x 70-3/8", 39-3/4" x 70-3/8"
The Mooncliff Cabin Kit is a very spacious and luxurious one room cabin with an inside floor area of 164 square feet. 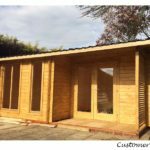 The wall thickness of 1-3/4’ (44mm) consists of an exceptional timber quality, providing for an intense sense of coziness and comfort. Your satisfaction levels will increase when you find that you can easily mount your works of art on the walls and surround yourself with other familiar, favorite objects. 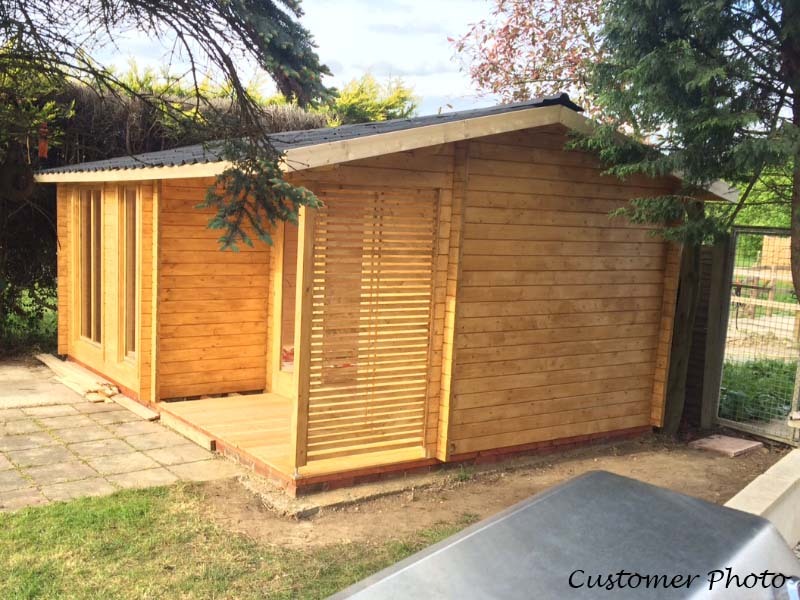 The height of the wall is 6’11” that makes this attractive log cabin feel even larger. 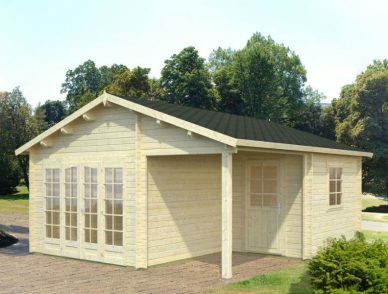 This log cabin has several large windows so that your living space is filled with natural light. 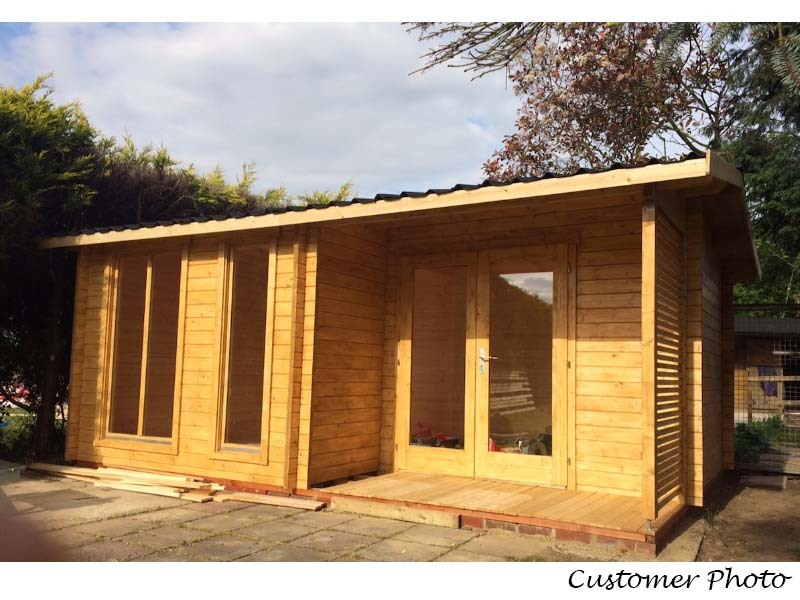 The natural materials used to produce this appealing log cabin further ensure that it is environmentally friendly. 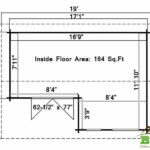 The inside dimensions of 16’9” x 11.10” provide the Mooncliff Cabin Kit with that large open-air feel that makes one feel right at home. 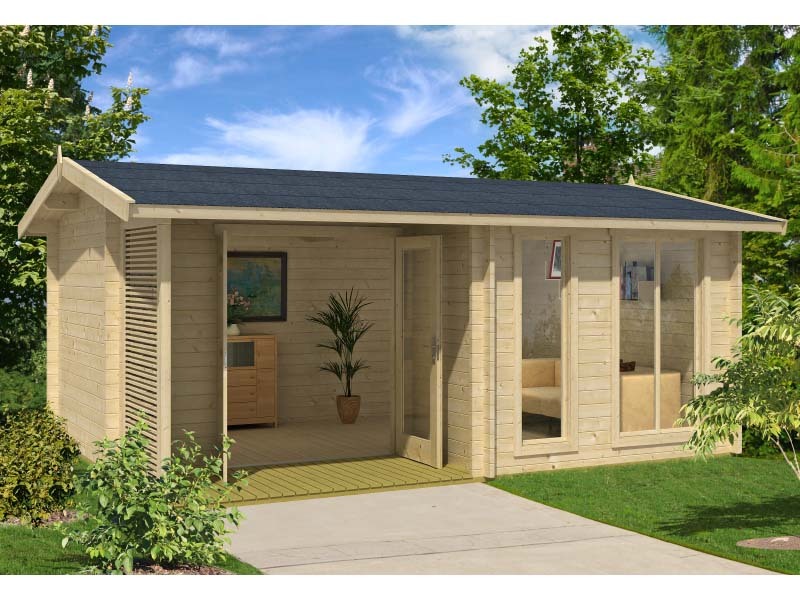 The interior offers more than enough room to furnish this log cabin to suit your preferences without feeling claustrophobic. 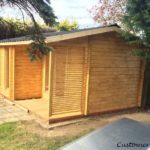 The Mooncliff log cabin’s outside dimensions of 17.2” x 8’2” further afford the homeowner a hospitable porch where family and friends can be entertained. Add some seating, a table, an ornament on the wall together with a few plants to extend that homely feeling of comfort to your exterior design. 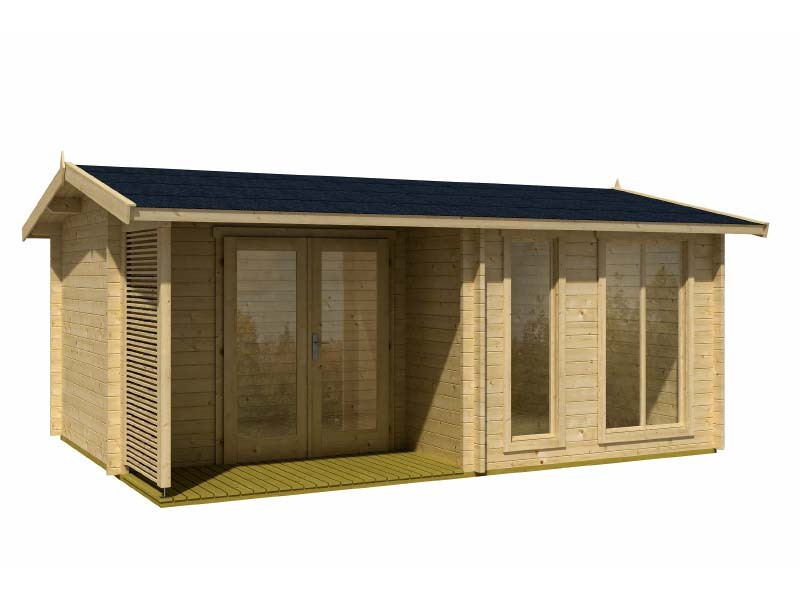 With the overall dimensions of 19” x 14.1”, this lovely Mooncliff Cabin Kit makes for a practical entertainment or a temporary living space.